The state of Washington has made remarkable progress in the past four years toward meeting a federal court mandate to repair hundreds of fish-blocking culverts under state roads. 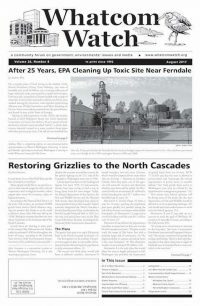 Failing culverts deny tribal treaty-reserved fishing rights that include the right for salmon to be available for harvest. Our right to harvest salmon was one of the few things we kept when we gave up nearly all the land in western Washington. Instead of continuing to appeal the culvert case, we think the state should use the momentum gained by those efforts to finish the job and focus together on our shared goal of salmon recovery. Opening up habitat is one of the most important and cost-effective actions we can take toward salmon recovery. When the culvert case was filed in 2001, nearly 1,500 state culverts blocked salmon access to more than 1,600 miles of good habitat, and harmed salmon at every stage of their life cycle. Before the ruling, the state was fixing failed culverts so slowly that it would have taken more than 100 years to finish the job. By then few salmon would be left. In 2013 federal court Judge Ricardo Martinez ordered state natural resources agencies to fix their barrier culverts by 2016. The court gave the state Department of Transportation 17 years to reopen about 450 of its 800 most significant barrier culverts in western Washington. Since then state agencies such as fish and wildlife, parks and natural resources have stayed on schedule to fix nearly all of the culverts for which they are responsible. Meanwhile the Department of Transportation has committed additional resources to the effort and is steadily meeting its requirements. Additional funding may be needed, but if DOT maintains its current pace it will come close to meeting the court’s mandate. We are pleased with the cooperation that state agencies have shown in working with us to develop guidelines to fulfill the court’s order. It’s the kind of relationship we want to continue. Since 2013 the state has appealed the case and lost, then lost again when it asked the appeals court to reconsider. One of the best ways to cement the co-manager relationship would be for Attorney General Bob Ferguson to drop any further appeal and fully join us in achieving salmon recovery. We are losing the fight for salmon recovery because we are losing salmon habitat faster than it can be restored. The culvert case offers a rare opportunity to achieve a net gain in habitat that salmon need so badly. Fully implemented, the culvert case is a win for the salmon and everyone who lives here because it will provide more fish, more fishing, more jobs, and healthier economies for all citizens of the state. Let’s put the culvert case behind us and build on its success by working harder together toward our common goal of salmon recovery. 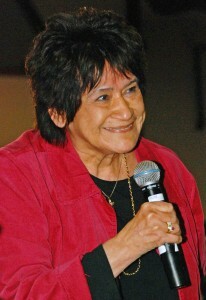 Lorraine Loomis is chair of the Northwest Indian Fisheries Commission, www.nwifc.org.